Healthy eating is not something that one should do by creating daily routine. It must come naturally and it should become a habitual thing. When you follow certain schedule, you tend to get bored with that. Soon, you start finding loopholes of the schedule so that you can enjoy doing something that is out of that schedule. In this way, healthy eating habit cannot be developed. To develop healthy eating habit, you need to know about healthy foods. Your daily diet must include a lot of green vegetables and fruits. Eating fruits is the most important thing, as that comes with a lot of benefits. Buying fruits has become quite easy these days, as you can opt for ordering online fruits platter delivery in Singapore with www.efreshfruit.com. 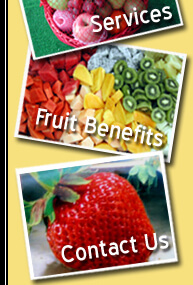 In the following section, we shall mainly discuss about various health benefits of fruits. Different fruits are there and a perfectly mixed platter of fruits will bring rejoicing feel for your body. If you often suffer from skin related problems, like skin dryness or other similar issues, eating fruits is absolutely essential for you. Skin rashes or dryness or lack of shine on the skin are the aftermath of deficiency of minerals, vitamins and other vital nutrients. Due to mal-nutrition, we face such issues and to compensate the nutritional deficiency, regular eating of various fruits is suggested. You can choose all those fruits that you want or love. For example, you can choose apples which are considered as rich sources for various anti-oxidants. You can choose watermelons or other melons which come with a lot of water contents. Now, with www.efreshfruit.com, you can get fruits of your choice at your doorstep with fruits platter delivery in Singapore. Many people face premature aging these days. Stressful working schedule and sleepless or restless working are consider as the major reasons behind the premature aging. In order to deal with premature aging, you need to opt for healthy eating habit. It is absolutely important to choose various fruits for daily diets. Most of the fruits are considered as rich sources for anti-oxidants, vitamins and minerals. All these nutrients will keep you healthy. Nevertheless, they shall protect you from premature aging. Eating fruits on daily basis will keep you away from heart related problems or issues. You can easily get rid of your heart related problems by eating apple every day. It is a proven facts that an apple per day will keep your protected from heart related issues or problems. 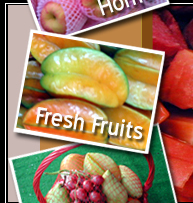 Buying fruits is not difficult these days and you can easily buy different kinds of fruits online. You also have the option to opt for ordering delivery of fruits platter in Singapore . Eating fruits on regular basis will also keep you protected from obesity or overweight problems. The secret of energetic lifestyle is healthy eating habit. Your body should get all the vital nutrients as well as vitamins and minerals. Order your favorite fruit platter anytime online and get it delivered at your doorstep with www.efreshfruit.com.